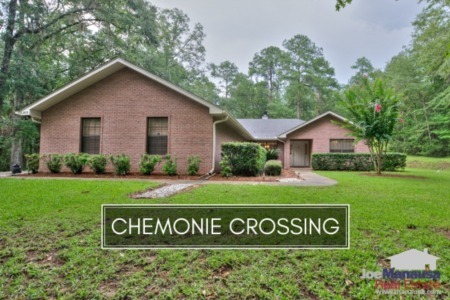 Homebuyers looking for larger homes on acreage have been targeting Chemonie Crossing in 2016. This popular NE Tallahassee neighborhood located off Centerville Road (just beyond Proctor Road) is enjoying its best year for home sales since 2006, and I think you'll see why in this report. We've gathered all the current listings and all past sales together to make for a comprehensive way assess the market in the Chemonie Crossing neighborhood. With 214 multi-acre homesites that is mostly built-out with large homes, it is perfect for buyers who favor privacy over a few extra minutes drive to work. 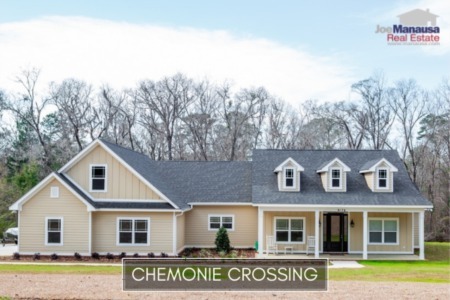 Due to the varying nature of the lot sizes, home ages, and home sizes, we strongly encourage you to work with an expert buyer's agent should you take a serious interest in living in Chemonie Crossing. It is important to note that the narrative contained below is for sales through December for all previous years, but through the third week of November in 2016. The graphs and the closed sales table will be continuously updated into the future (meaning bookmark this page if you always want to know the current status of homes in Chemonie Crossing. The average price of a home sold in Chemonie Crossing in 2016 has declined a little from last year, down to $357,600. Does this mean homes are depreciating in Chemonie Crossing? Absolutely not, as you will find in the final two graphs, there is a satisfactory reason that prices are lower than last year. Home sales activity in 2016 is brisk and the year will end up recording a ten-year high. Through mid November, there have been 13 closed home sales in Chemonie Crossing. Currently, there are five homes for sale in Chemonie Crossing and one is already under contract. Average home values are 13% higher than they were last year, continuing an appreciation trend that started in 2012. Through the third week of November, the average value of a home sold in Chemonie Crossing has been $139 per square foot. 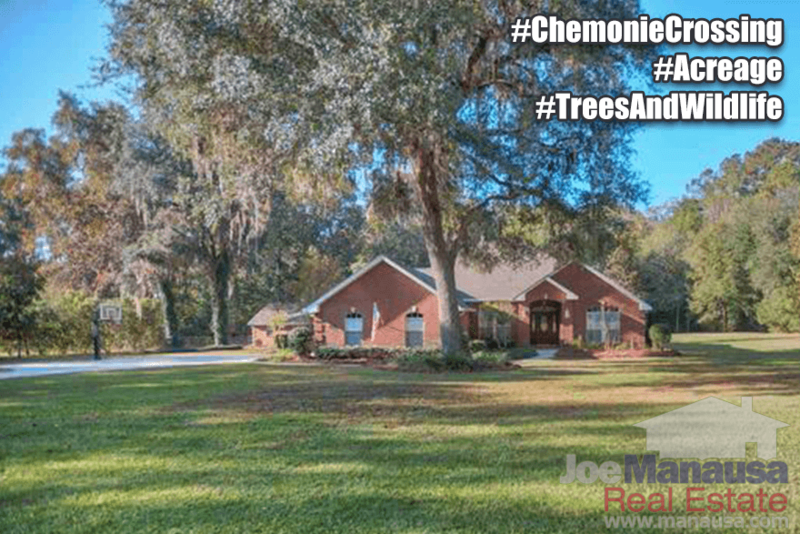 This represents a higher value than what was recorded in 2006 and one could say the market for homes in Chemonie Crossing is a strong as ever (which is very uncommon for the Tallahassee real estate market where values typically remain lower than those at the peak of the market). The average home size sold in Chemonie Crossing typically falls in a range of 2,000 to 3,100 square feet, and this year is no different. The 13 sales thus far in 2016 have averaged 2,535 square feet, which explains why average prices have fallen from last year (when the average size home was nearly 3,000 square feet). In a neighborhood with a great diversity of home types and sizes, you want to know what's really going on before pricing a home in a real estate transaction. I hope you enjoyed our November 2016 update on home sales in Chemonie Crossing, please feel free to drop me a note if you have questions not covered in this report.